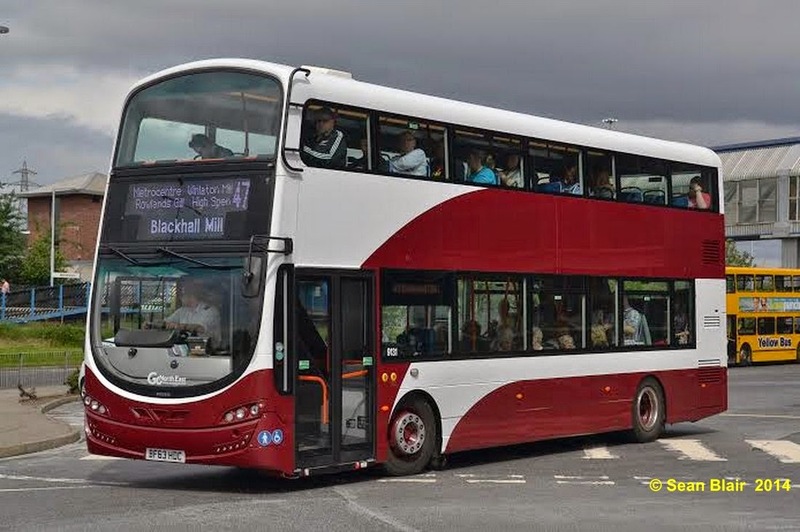 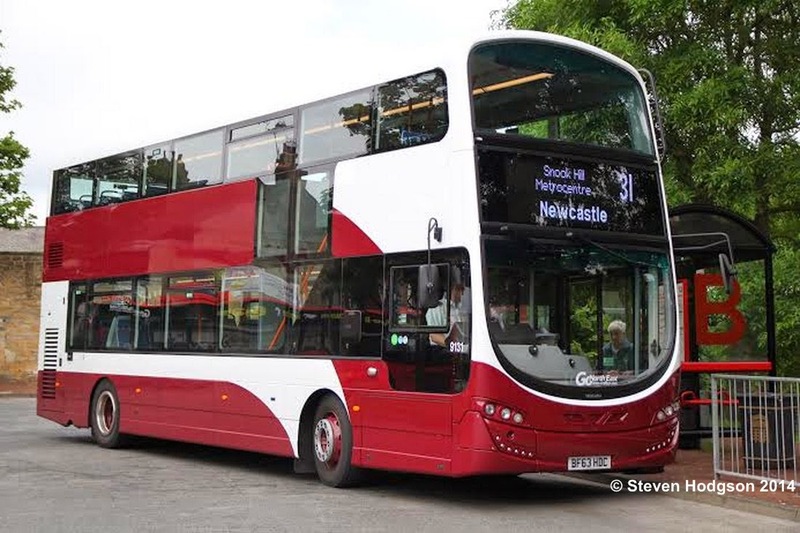 Steven Hodgson, Sean Blair and Keith Lee have sent us pictures of the Lothian Buses liveried Wright Gemini 3 bodied Volvo B5TL demonstrator that is now in service with Go North East. 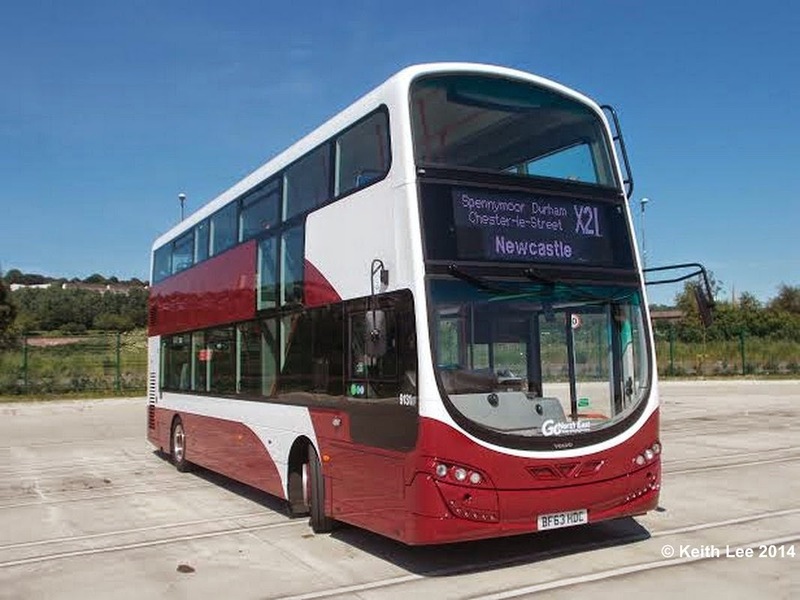 It has a H45/28F + 29 standing layout and will initially be based at Gateshead Riverside. 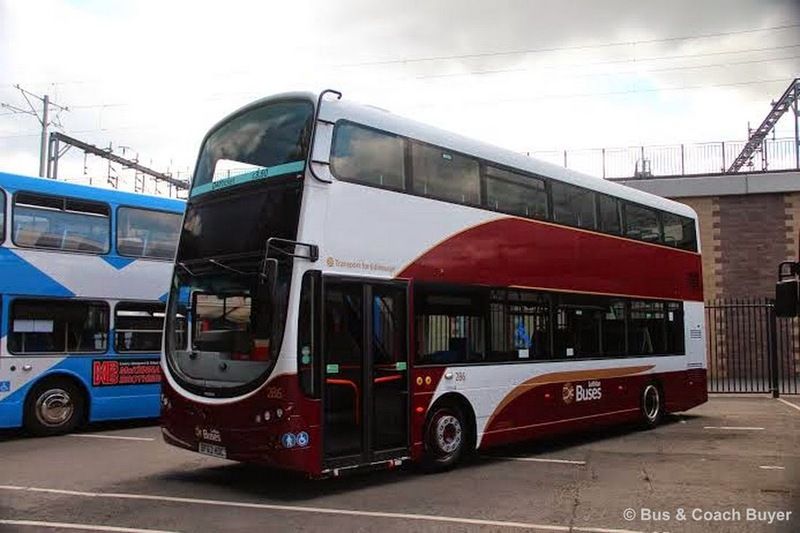 During the first week it will be used on the 'Toon link' 11, 31 & 47 services, then it will be based at Crook for the second week and be used on the 'Pronto X21'. 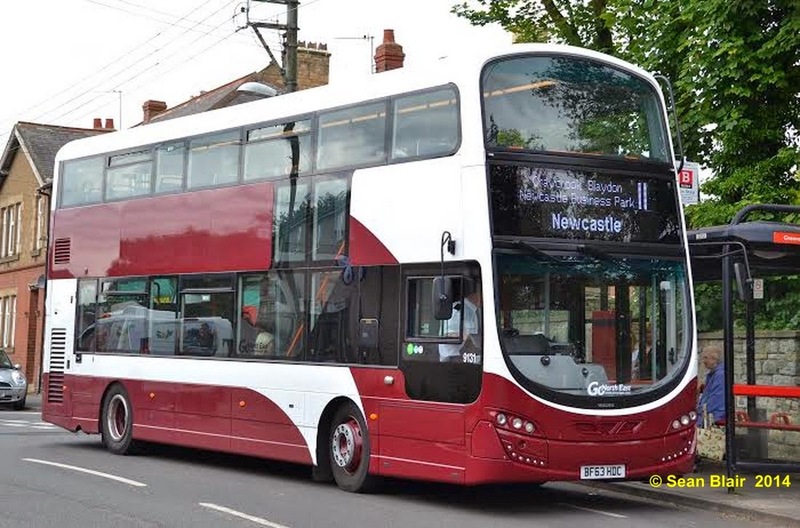 Go North East have given it the fleet number 9131. 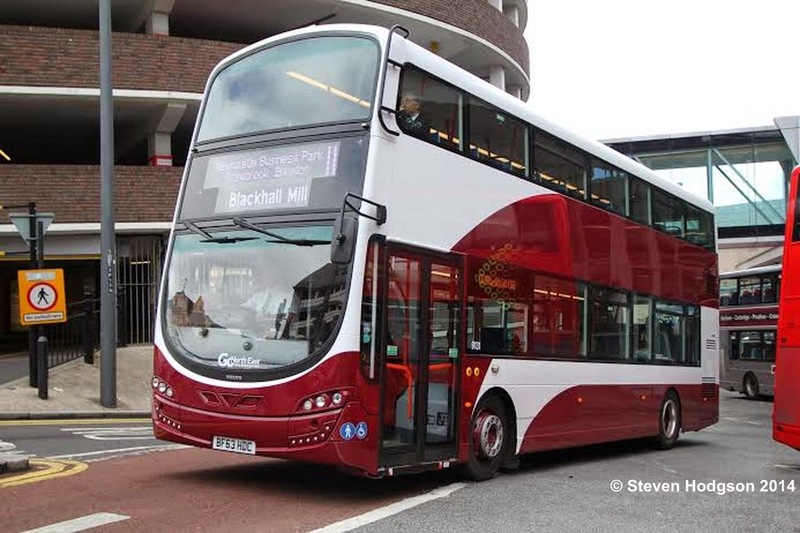 If you spot any demonstration vehicles in use anywhere in the UK or mainland Europe please send us photographs.